Every June, here in New Orleans, we have the Eat Local Challenge. 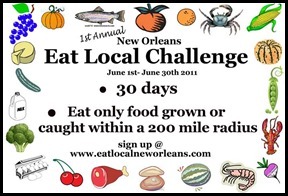 Participants agree to eat food that grown or caught within a 200 mile radius of New Orleans. This year we decided to give it a try. We ended up with a lot of extra food after the Fourth. That is extra corn and potato salad. I used the potato salad in a mock-nicoise salad. Made a big green salad – lettuce, green onion, celery and tomatoes. Next I added garbanzo beans (chick peas) instead of the tuna and a scoop of the left over potato salad instead of the traditional eggs and potatoes. I prefer asparagus to green beans, but either one works well. As for anchovies? Forget about it! I know juicing is a good thing. 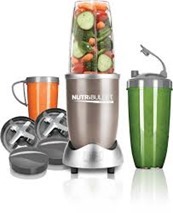 The easiest way to get a lot of fruits and veggies. Or at least the easiest way to get them into your body so that they do good. The NOT easy part is getting the juice: taking out the juicer, feeding the veggies into the juicer and finally, cleaning the juicer and the counters and putting the clunky thing away. Summer is here and the garden is starting to produce veggies. Sometimes it is hard to figure out what to do with them. 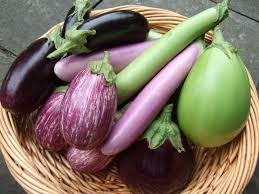 Summer in New Orleans means eggplant and lots of it! The abundance of it, particularly coming out of garden has forced me to find creative ways to serve it. 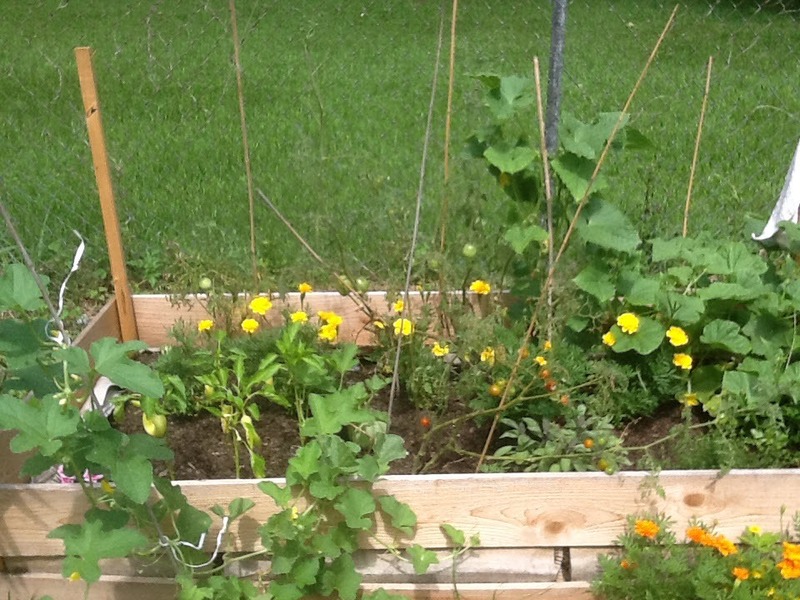 Our garden is growing – we have tomatoes, peppers, cucumber and melon plus a lot of herbs growing at breakneck speed. Something new is always popping up. The funny thing about gardening is that once you figure it out in one place there is NO guarantee you will be successful (at first) in a different place. Some of the tomatoes are being eaten by something – not cutworms, but something I have yet to identify. There are bugs and worms that I have never seen before! So far no aphids like the ones that drove me crazy in Prescott last year. Instead we have Assassin bugs (good), beetles (bad) and and other very strange insects like wasp moths. The insect identification book is getting heavy use. The soil here is amazing; river bottom mud. Really sad to not be using it this year. Until we have it tested it is unwise to plant food. Katrina left a lot of chemicals in the ground, so until you have your own soil tested you can’t know if you have any contaminates like lead or mercury. And if there are contaminates we need to know what they are! 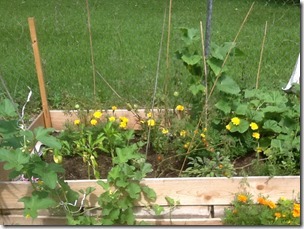 For this year we have contented ourselves with grow beds. The one thing we have planted in the ground was milkweed. Someone told Meggan it would attract Monarchs. She bought some and planted it. No Monarchs! We started to think that milkweed and Monarchs were an urban legend. And then. . .the Monarch’s appeared. We have quite a collection that fly around all day. They put on a real show! The Monarchs have been joined by Black Swallow Tail and a couple of other ones I can’t identify. 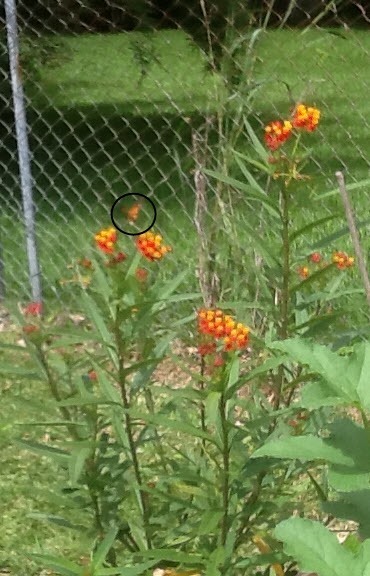 Here is a picture of the milkweed and a Monarch – just look for the circle; I know it’s hard to see but you will get the idea. They are so beautiful! Meg and I went to the nursery over the weekend and invested in $70 worth of butterfly and hummingbird attracting plants to create a “butterfly garden.” They are all planted neatly along the front fence. So far – no butterflies and no hummingbirds. Either another urban legend or a lesson in patience. . . we’ll see. S ince we have a “primitive” kitchen at the moment, we invested in a propane gas grill. 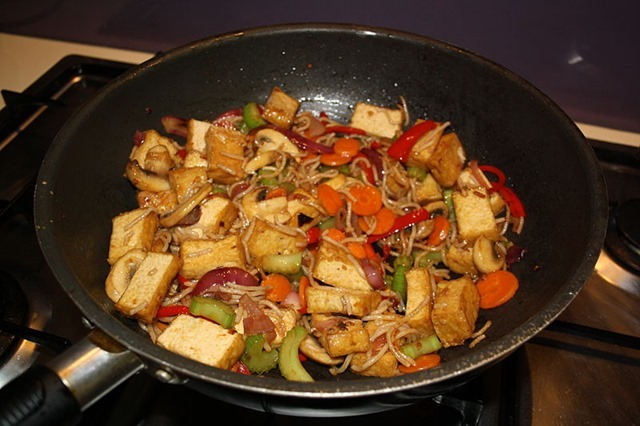 Two advantages – it is a great cooking surface and it is outside. The outside part keeps the heat out of the house; something to consider in this climate! A few years ago we grilled a lot. Part of it was because of the heat in Palm Springs and part of it was because I banned meat from the kitchen. There is something about the smell, the blood and the mess. . . But meat was not the only thing we grilled. 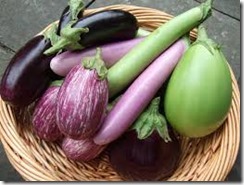 We regularly grilled onions, corn, eggplant and a variety of other veggies. When we moved to Prescott and David became vegan we decided not to buy a replacement for the one we left in Palm Springs. He didn’t think it was worth the money if he wasn’t going to be eating meat. I knew I missed grilled vegetables, but until we got this new grill I didn’t realize how much! We have been haunting the Farmers Markets. Two or three days a week we come home with a bag of fresh fruit and veggies.. Over the last two weeks we have grilled corn, potatoes, onions, eggplant, summer squash, cauliflower, beets, carrots and tomatoes. 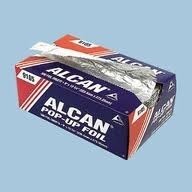 We have been going through lots of foil sheets ! 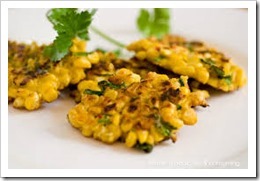 Grilling veggies is really easy to do and really tasty! One of those fun things to experiment with. Cooking times will vary but for most veggies about minutes is perfect; for onions, potatoes and whole beets it is closer to 50 minutes. Summer is a great time to experiment and find your favorite grilling veggies. 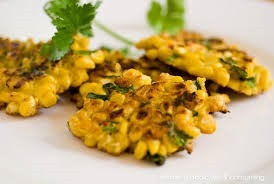 Don’t forget to try out different herbs they have a way of making a “plain” veggie a whole new taste treat. We Made It to New Orleans . . .
My head is still spinning – over the last two months we packed up our home in Prescott, drove ourselves and the three cats 1650 miles across company and have more or less moved into to our new home. What an incredible amount of experience crammed into a few weeks! The kitchen in our house was gutted . Once escrow closed Meggan installed a utility sink in the kitchen. She says it is hard to clean and paint without water! We got here and walked into an exquisitely painted but very bare kitchen – the only item in it was the lonely little utility sink. We think that the kitchen is the most important room in the house so we started there; literally started from the ground up. We were told that there was a lovely long-leaf pine floor under the tile debris. Which is why David spent the first day we were here sanding of the glue and junk off the floor. When he was done we saw that there was indeed beautiful wood. Beautiful wood badly in need of repair and loving care. Decided to delay immediate work and instead lay down cheap vinyl to protect the from any further damage. We will tackle this in the fall when it gets a little cooler! Once we had a decision on the floor we moved in a fridge, a toaster oven, microwave and electric frying pan. Went out and got a gas grill and on the way home stopped at Farmer’s Market. While there we scored some corn, tomatoes, onions and greens. Later that afternoon we had our first home cooked meal in a couple of weeks: roasted corn on the cob along with grilled onions and tomatoes. I don’t think I have ever enjoyed a meal more! We were in business. Although I have to say that cooking with no counter space is a trick. David set up a rolling island, a couple of folding tables and put together a rolling storage rack. We gleefully refer to the process as camping in our own house. Very comfortable camping all things considered! While we camped for the next couple of days, we feasted on a big salad made from fresh greens, tomatoes, carrots and cucumbers. Grilled and enjoyed eggplant, squash, tomatoes, carrots and potatoes. Even if we were camping it still felt downright luxurious to eat simple, home prepared fresh veggies. At the end of the first week we had the most exciting day of all — the day we got a real gas stove and range!! I immediately made pasta sauce, started soaking black beans and dug out some rice. The other exciting thing was the gift of a triple bowl 44 inch sink. Now all we need is something to put it on. That is next weeks project: find kitchen cabinets and the counter top to get installed asap. Did I mention that in the meantime we are just happy to be eating real food again? One of the wonderful things about New Orleans at this time of year are all the Farmer’s Markets. You can find ones on Saturday, Sunday, Tuesday and Thursday. We are taking full advantage! Today we got 10 lbs of “seconds” tomatoes and a bunch of peppers and onions so tomorrow we make salsa! Life should be calming down a bit in the next couple of weeks. I will finally get to start posting on a regular basis. I have missed writing more than I thought possible. So watch for new posts. Lots of nutrition news, garden updates, cooking tips and our other NOLA adventures. And there, my friends, you have it – the NOLA adventure update! Stayed tuned! The Packrat container is packed on on it’s way to New Orleans. A couple more days of clean up and then we pack the car and head out. All very exciting. 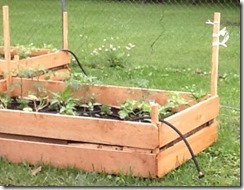 Three weeks ago, our daughter Meggan, built some raised garden beds in the side yard. 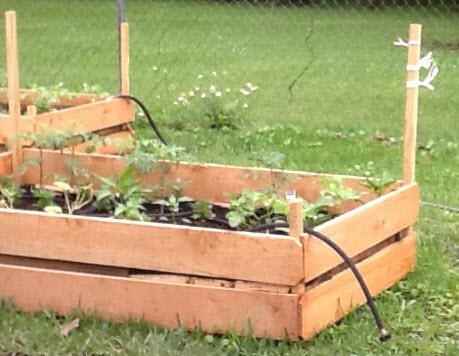 She ordered a truckload of river bottom compost and filled the bed.. A couple of days later she planted some tomatoes, peppers, squash and herbs. Here is what has happened in just 2 weeks! And yesterday she showed us actual tomatoes growing on some of the vines. The best part is that there is still an whole lot of compost left and next week we should be able to build a couple more beds and plant more stuff. I can hardly wait to get my hands in that dirt and plant some seeds. Thinking about pole beans, hot-weather kale and herbs. All we have to do is get there. . .
About 30 years ago, I became fascinated with fractals. I had a brand new IBM PC with a CGA monitor, 256KB of RAM and a 5MB hard drive (which seem so huge that I couldn’t imagine using all that storage!). My friend, Gary brought me a disk with a program called “Fractal Magic” on it. I installed the program and started it running. After three days of processing it produced an amazing image on my screen – of course there was no way to print it, but it was beautiful! And mainly, I was hooked. Over the years I have generated thousands of fractal images. And now I can even print them!!. OK. I’m back from that little walk down memory lane and ready to tell you about the thing we call it “Dinosaur Broccoli” around our house. The first time I saw it in our local health food store I stopped, dead in my tracks. I was mesmerized by the shape! Right in front of me was a perfect replica of computer generated fractals.